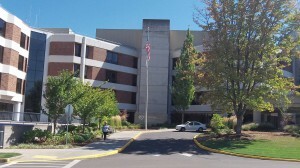 Good Samaritan’s hospital in Corvallis. Oregon voters won’t get the chance to learn much more about what hospitals charge and the princely sums they pay their top people after all, at least not this year. The Service Employees International Union had filed five prospective initiative measures dealing with hospital prices and spending, and this promised to shed some public light on the astronomical costs of hospital care. But on Thursday the prospect fizzled. 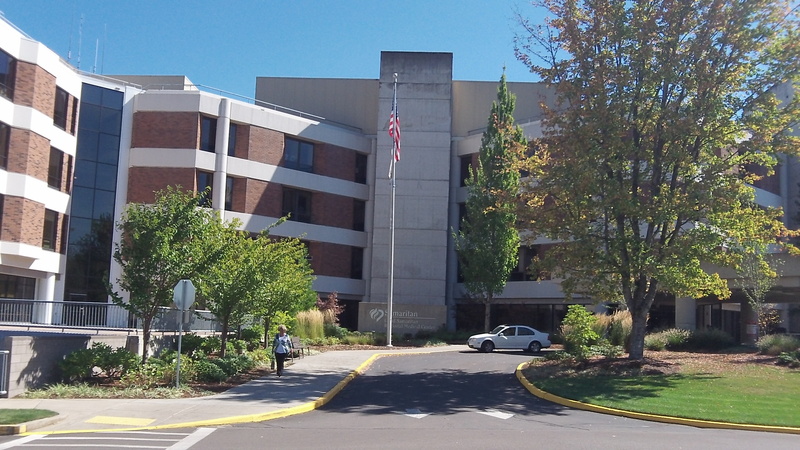 The goal, Kitzhaber said, is to make progress toward what he called the “health care triple aim.” The three aims are improving patient care, improving health, and reducing the per capita cost of health care. There’s nothing wrong with the goal, and if those forthcoming meetings get anywhere, that will be fine. But the initiatives were interesting, and citizens would have found the debate about them instructive. As this site reported on Jan. 15, the union’s initiatives would have required hospitals, among other things, to post prices in a public place, to charge individuals the same lower prices as insurance companies, and to limit top executive compensation at not-for-profit hospitals to 15 times that of the lowest-paid employee. The governor said that “SEIU and the hospitals, along with other parties, will come together in a series of conversations aimed at exploring partnerships that can improve our health care system.” Having conversations and exploring partnerships sounds like a lot of talk with no prospect of anything changing in the real world. What happens now is that people go to their doctor, who sends them to a specialist employed by the same hospital corporation for this or that routine test, a test universally recommended. The people comply, and months later they get an accounting from their insurance. That’s when they discover that the test was $5,000. Insurance paid for much of this, but still, if they had known what it cost, they might have asked if the procedure could be done for less. Hospitals face cost pressures like everyone else, and now and then we hear of layoffs, usually among nurses. But still, even smaller operations such as Samaritan Health are able to pay executives and top doctors upwards — sometimes far upwards — of half a million a year. I had an interesting experience recently with getting a prescription filled. Before the doctor called in the prescription (for a common medicine) he asked me how I was going to pay for it. I told him I would just pay out of my own pocket based on what I had paid for it previously. When I picked it up the pharmacist said that will be $480. I asked her if she was sure that was right and then asked me if I were on medicare. I said yes and then she said she would redo the bill. When she gave me the new bill it was $4! There’s something wrong with this picture. How about a “probe” on what SEIU employees earn compared to the average wage. How about compared to Fred Meyer’s union employees? An administrator that does a great job and saves millions of dollars should be rewarded. One that isn’t very good should be paid nothing. Non profits can be interesting. You have privately owned ones that can pay extremely high wages to the owners/executives. What does Oregon Public Broadcasting PRIVATELY owned non profit) pay it’s top dog(s)? The “conversation” has the appearance of a mediated contract negotiation to re-partition the pie. It’s too bad the consumer isn’t represented. Oh, the Governor will be there. He represents us doesn’t he ? Doesn’t he? Oh well.